I woke early, enjoyed an awesome smoothie with greens and berries, and pedaled up along Skyline Drive in Rapid City with my hosts Sherry and Fred. 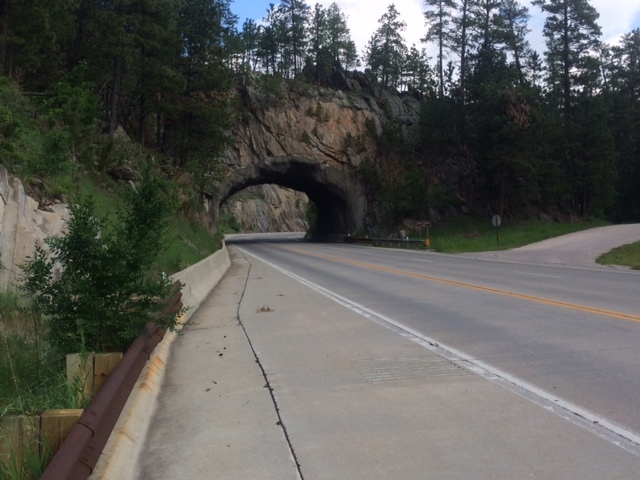 They took me about five miles to the where local roads give out to U.S. 16, and I proceeded on toward Mount Rushmore. Today’s ride was short on distance but long on climb: over 5,000 vertical feet. The going was slow, the scenery spectacular. I stopped for breakfast in Keystone, a Mexican place that had a breakfast buffet with great huevos rancheros, pancakes, and fresh fruit. 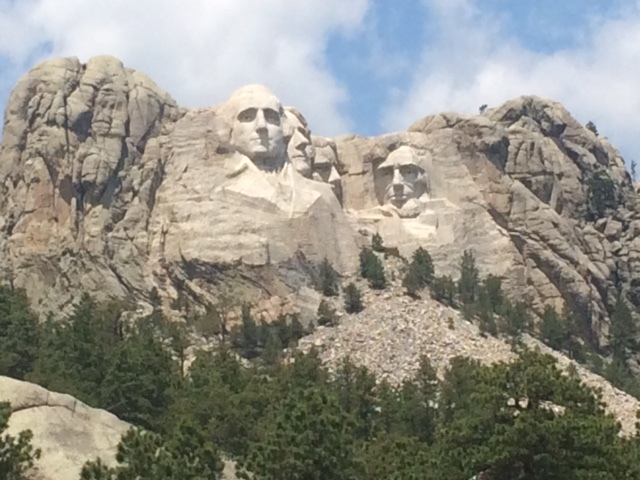 Fully fueled, I pedaled up to Mount Rushmore. 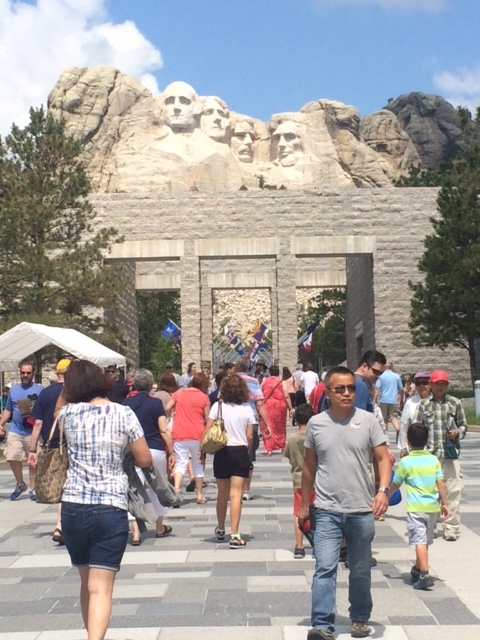 I had learned in Rapid City that the facilities at Mount Rushmore were much changed since I was last there, in 1982. The words ‘parking structure’ gave me worry. 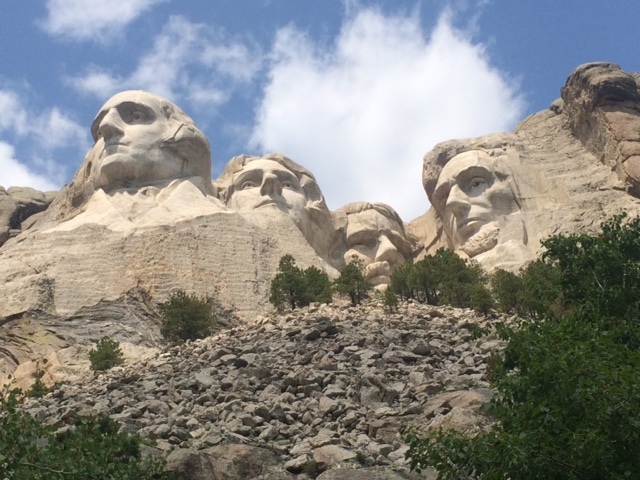 But I found the National Monument much better organized, capable of handling crowds, and offering more ways to appreciate the four Presidents than previously. Of course, I was predisposed to like the changes when the parking lady waved my bicycle in without the $11 parking fee. Thirty-three years ago, we came upon the sculptures through winding rustic paths. Now there is a grand, axial concourse with a series of portals that create a procession: from parking to information, along a parade of state flags, to an overlook plaza that sits on top of the museum and in front of the amphitheater. The architecture is simple but monumental. 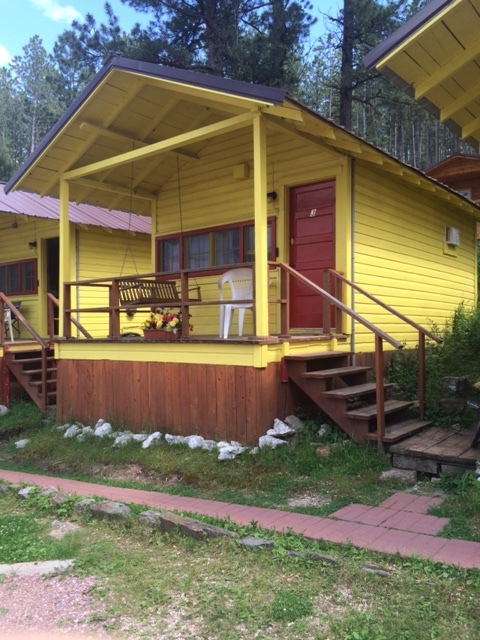 It accommodates a huge summer crowd without competing with the sculptures. They’ve also added a nice winding path that allows people who can handle 250 steps to get very close to the base. I was happy to see so many people take that trail, sad to hear so much hoofing along the way. Americans sure are fat. By noon the sky was threatening, so I mounted my trusty Surly and headed toward Custer, with a brief check on the Crazy Horse monument, still in construction. 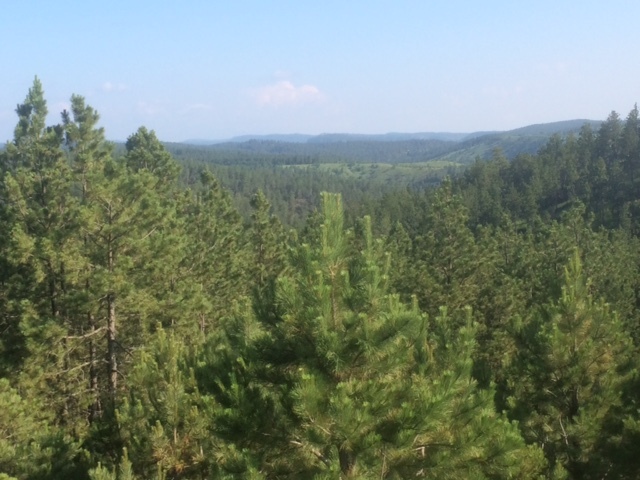 I had a reservation at a cabin court in Custer that turned out to be two cuts above my usual fare, so I was happy to arrive early, for although my ride had not been long, it had been hard. I took an evening stroll through Custer, which had live music and other July 4th weekend festivities in progress. I bought a six pack of Kolaches, South Dakota’s state pastry, to heat up for breakfast in the morning. 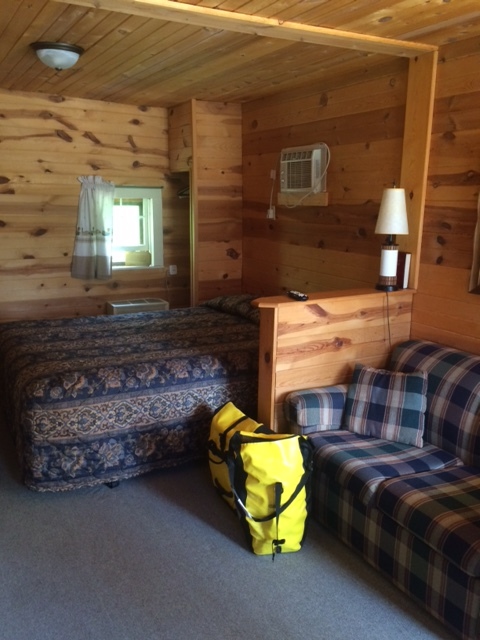 Custer is a tourist town, but like my cabin, a cut above many. I like the bison that command each corner. I got home in time to watch the sun set from my porch swing and was in the sack by nine. I’m such a party guy. again, Shorty you are in my territory as well as Liz and Tim’s. 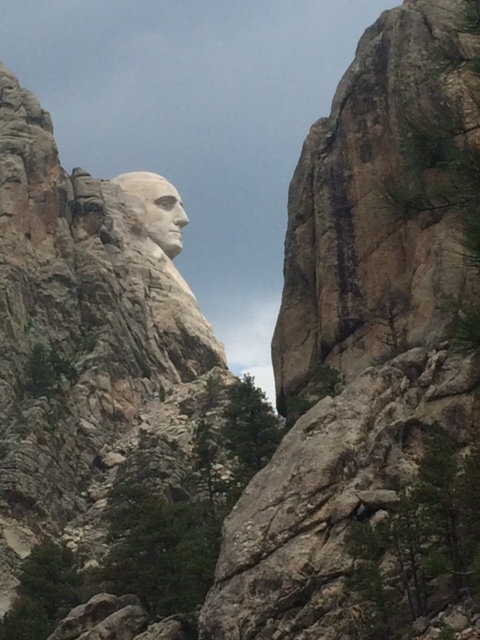 We visited Crazy Horse I think three times…..twice before Isabel and once after Isabel. What a great book this journey will make! !